High-quality early childcare in formal settings looks to be more effective for children's psychological development than care by family, friends or childminders, a French study has found. Using data from a study of more than 1400 children, the authors found those who received formal care were less likely to have emotional and behavioural problems, and more likely to have better social skills than children who had been looked after by family or friends. Funder: The authors have not declared a specific grant for this research. Attendance at a nursery/crèche staffed by professionals may be linked to better psychological development than being looked after by family/friends or a childminder in early childhood, suggests research published online in the Journal of Epidemiology & Community Health. It may be associated with lower odds of poor social skills, difficult relationships with peers, and behavioural issues, particularly if attendance lasts a year or more, the findings indicate. Previous evidence suggests that early childcare may boost a child’s language and thinking skills, and possibly academic prowess. But the jury is still out on its potential impact on behaviour. To explore this further, the researchers drew on data for 1428 children taking part in a French study(EDEN) looking at the factors involved in childhood health and development. In France, formal childcare provision is widespread, of good quality, and open to all. 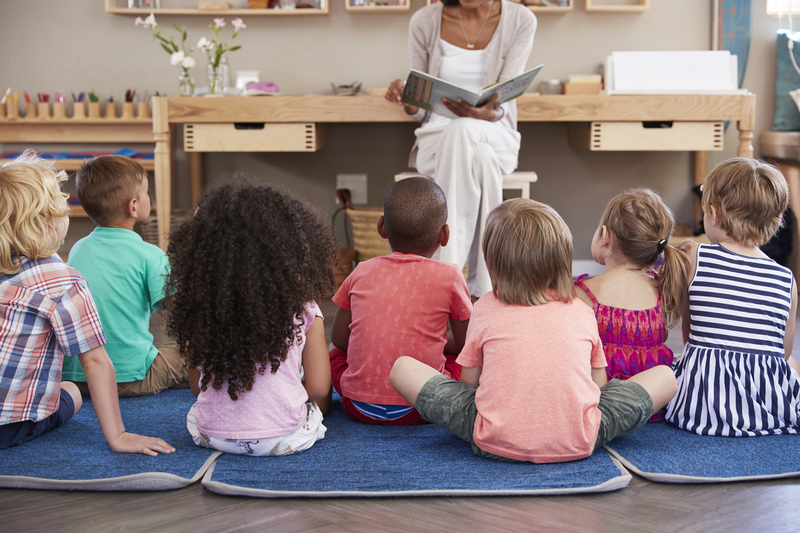 Most children (97%) start school by the age of 3, making it a good setting to look at the potential impact of different types of early childcare on development, say the researchers. They tracked children’s emotional development from birth up to the age of 8, using responses to a validated questionnaire (Strengths and Difficulties Questionnaire), completed by parents when the children were 3, 5.5, and 8 years old. The questionnaire includes 25 items, focusing on behavioural and emotional problems, including difficulties making friends, hyperactivity/inattention, conduct, and social skills. When their children were 4, 8, and 12 months old, and again when they were 2 and 3 years old, parents were also asked what type of childcare had been provided up to the age of 3: formal (nursery, day care centre, crèche staffed by professionals); informal (provided by family/friends); or childminder. Some 636 (44.5%) children had been in the care of a childminder; nearly one in four (just under 26%, 367) had attended formal care; while nearly a third (just under 30%, 425) had been cared for by family/friends. Overall, 15.5 per cent of the children had persistently high levels of conduct problems; just over 15 per cent were hyperactive/had low attention spans; 16 per cent had emotional issues; just under 7 per cent found it difficult to make friends with their peers; and just over 13 per cent had poor social skills. Analysis of the data showed that compared with children who had been looked after by family/friends, those who received formal care were less likely to have emotional and behavioural problems, and more likely to have better social skills. Those who had been looked after by a childminder were more likely to have behavioural issues. Children who attended a nursery/crèche/day care centre for a year or more had even lower odds of emotional issues, difficulties making friends, and poor social skills. Overall, children whose mothers had gone to college or university and/or whose mothers weren’t depressed seemed to benefit the most from formal childcare. And girls seemed to get more out of formal childcare than boys, possibly, suggest the researchers, because formal childcare is associated with less internalising behaviour, which is more common in girls. Compared with boys in receipt of informal care, boys in receipt of formal care had fewer emotional problems, but those looked after by a childminder had more behavioural problems. This is an observational study, and as such, can’t establish cause, added to which the families studied were better educated and more affluent than the average for France. Nor were the researchers able to assess the quality of, or time spent in, a particular type of childcare. Nevertheless, they suggest that, overall, the low levels of emotional symptoms, relationship issues, hyperactivity/inattention observed among children who had attended nurseries/crèches/day care centres might reflect a combination of the mental stimulus derived from play, praise, and reading, along with rules to follow, and quality child-caregiver interactions. But future research will be needed to find out whether these benefits translate into a lower risk of psychiatric disorders in later life, they caution.